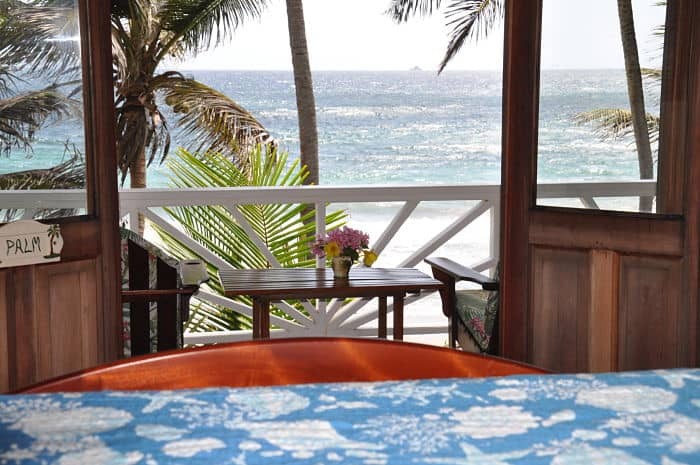 Our most popular room with our clients is the beachfront cottage. We have three, and they are just all as wonderful as each other. 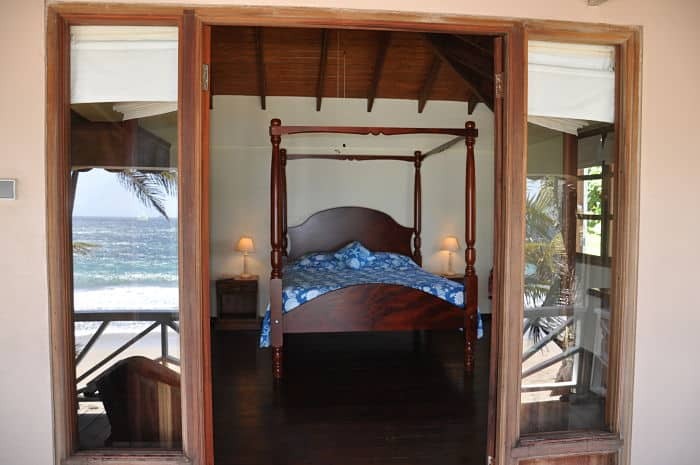 Nestled on the edge of our tropical gardens, and overlooking the beach, you’ll be able to hear the waves kissing the shoreline as you lie down to sleep in the Queen sized bed. 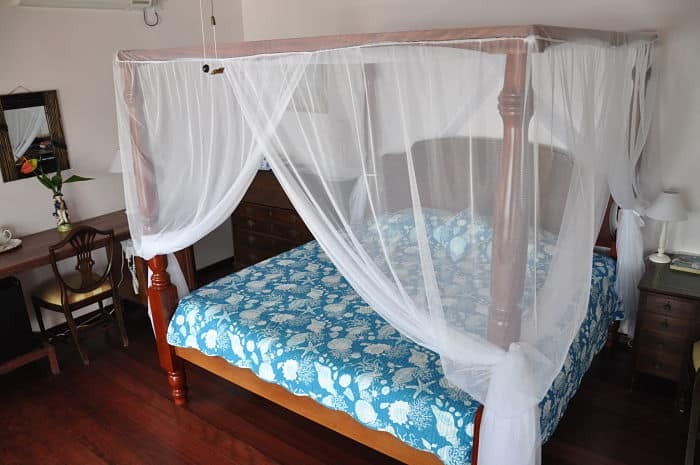 Equipped with a mosquito net, your four poster bed offers a romantic retreat from your days spent either exploring the island or relaxing around the pool and the beach. 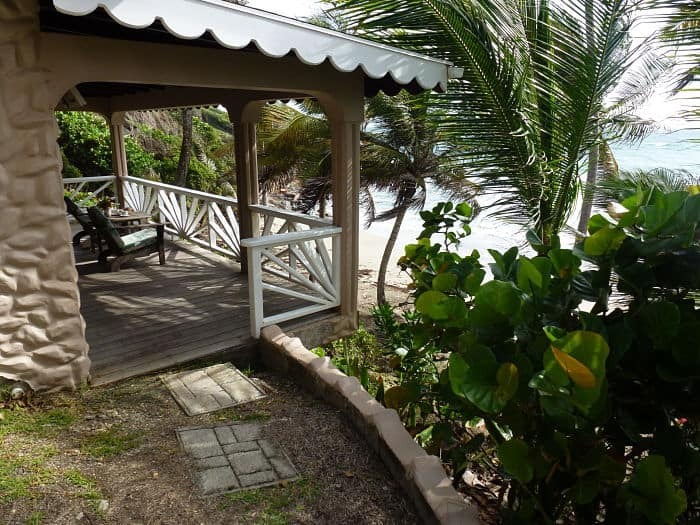 A short walk will take you down to the palm tree lined beach or up into the garden to the pool and the restaurant. 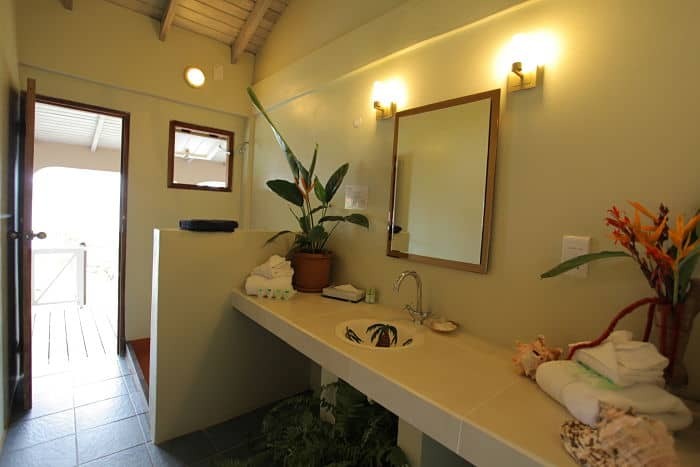 Every room has been designed to offer privacy for optimal relaxation and comfort. 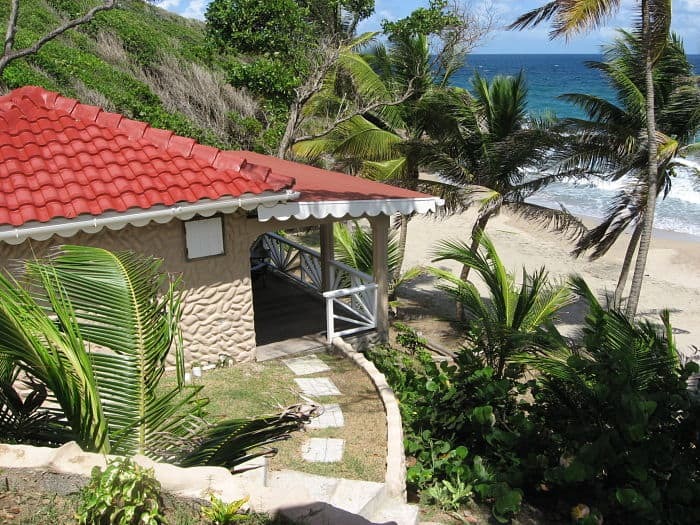 Situated apart from each other in our tropical garden, these beachfront cottages are just metres from the beach. If you like to stay in touch with the outside world, you’ll be pleased to know that we have FREE wifi available across the hotel in every room and area. 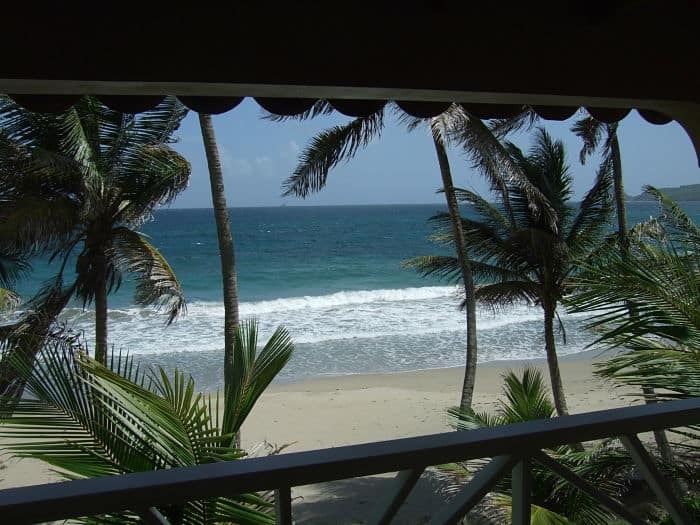 The images above provide a good idea of what it will be like to stay in one of our beachfront cottages, but if you have any questions, please don’t hesitate to ask. We’re here to help and are happy to do so.